LAKE MEAD — Cooler weather is here, with a few warm days mixed in. Those warm days will be great to go out for black bass and crappie in the Overton Arm. Black Bass fishing has started to slow, but anglers have had some success at sunrise and sunset using drop shots near underwater cliffs. Near the Boulder Islands, black bass are biting on a variety of popper lures. Striped bass and catfish are biting on anchovies off the bottom in deeper coves like Crawdad Cove. 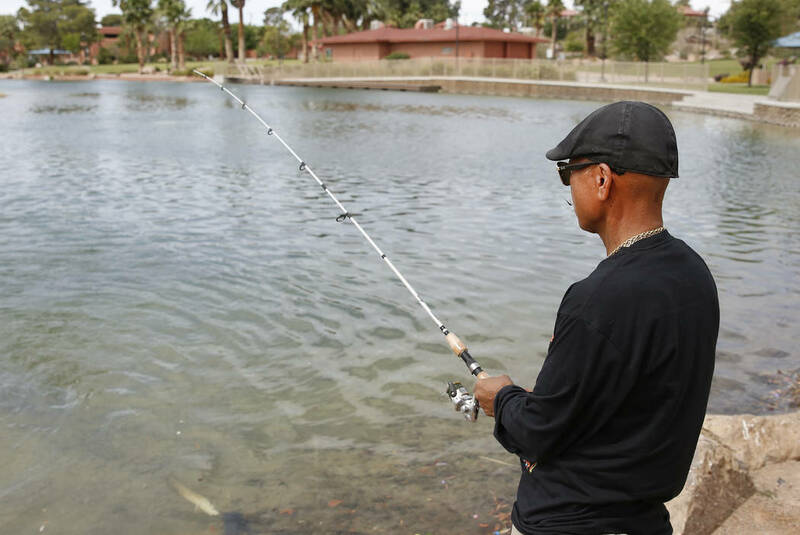 LAKE MOHAVE — Shore fishing is slow on the north end out of Willow Beach. Anglers are having trouble getting out past the weeds near the fishing pier. Those anglers that are getting out on the water are having good success with striped bass. Trout are still being stocked south of the Willow Marina. Trout fishing is good with the cooler waters. LAUGHLIN — Striper fishing is still good through casino row using anchovies. The smaller fish will steal the bait if it isn’t reinforced. Anglers are catching stripers in the 1-3 pound range. If you’re not using anchovies, try lures like a bomber savage, pencil popper, or glide swimmer. Trout are regularly being stocked below Davis Dam. Trout will go for PowerBait and silver spinners. KIRCH WILDLIFE MANAGEMENT AREA — Fishing continued to be slow this past week with winds kicking up in the afternoons, pushing the weeds around and making shore fishing difficult. Water levels continue to be low, but should begin to rise over the next few weeks. EAGLE VALLEY RESERVOIR — The rainbow action has been very good this past week, with most anglers leaving with their limits. Bait fishers have been doing well using the usual orange or green powerbait, but pink became the color of choice for many of the anglers who acquired those limits. Rooster tail and Mepps lures were also working well for boaters and float tubers. ECHO CANYON RESERVOIR — The fishing action has been quiet this past week with only a few anglers trying their luck. The water levels remain low, but are starting to rise, as the aquatic vegetation has been dying off. The rainbows have been taking pink powerbait to add to the usual orange or green powerbait and power eggs. UPCOMING FISHING EVENTS — The Nevada Department of Wildlife will be holding a “How to Fish Lake Mead” seminar at the Alan Bible Visitors Center at the Lake Mead NRA on Saturday, Oct. 21 starting at 2 p.m. This is a free event that will cover not only techniques for fishing the lake, but the regulations for Lake Mead (limits, legal baits, and equipment that can be used to catch the various species of fish in the lake). Pre-registration is not required.